Tesla was asked by the Red Cross to predict man’s greatest possible achievement over the next century. 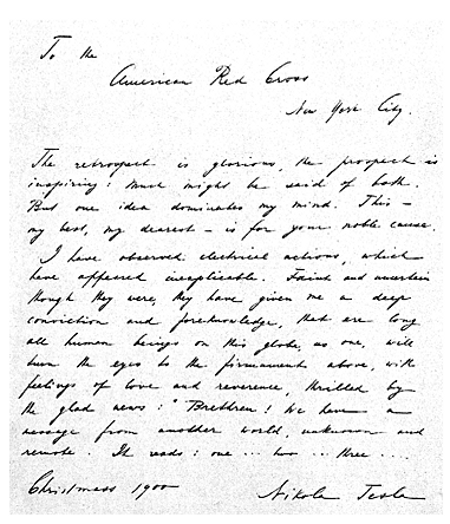 The letter below was his reply. To the American Red Cross, New York City. The retrospect is glorious, the prospect is inspiring: Much might be said of both. But one idea dominates my mind. This — my best, my dearest — is for your noble cause. 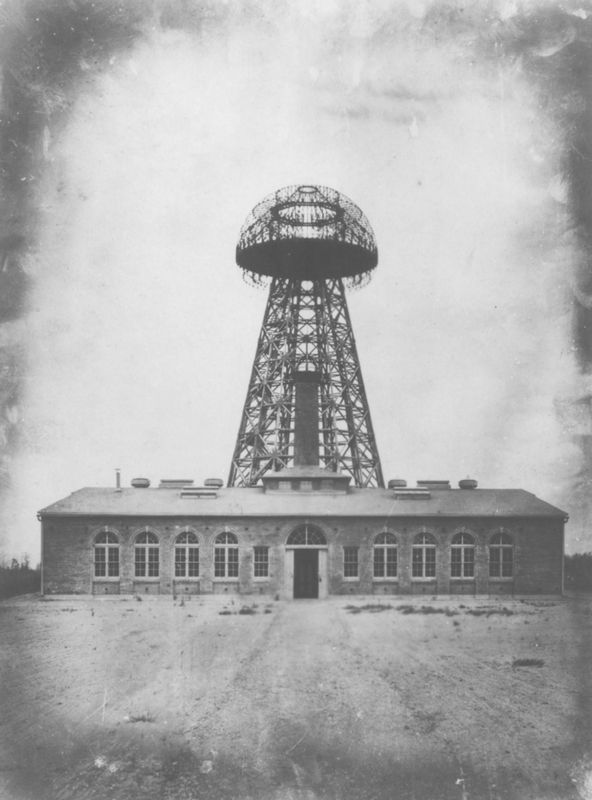 “In recent years I have devoted myself to the problem of the wireless transmission of power. Power can be, and at no distant date will be, transmitted without wires, for all commercial uses, such as the lighting of homes and the driving of aeroplanes. I have discovered the essential principles, and it only remains to develop them commercially. When this is done, you will be able to go anywhere in the world — to the mountain top overlooking your farm, to the arctic, or to the desert — and set up a little equipment that will give you heat to cook with, and light to read by. This equipment will be carried in a satchel not as big as the ordinary suit case. In years to come wireless lights will be as common on the farms as ordinary electric lights are nowadays in our cities.” N.T. “I would not give my rotating field discovery for a thousand inventions, however valuable, designed merely as mechanical contraptions to deceive the eye and the ear. A thousand years hence, the telephone and the motion picture camera may be obsolete, but the principle of the rotating magnetic field will remain a vital, living thing for all time to come. ” N.T.